LUCKNOW, India (AP) — A powerful dust storm, heavy rain and lightning struck parts of India on Sunday, killing at least 23 people, injuring more than 40 and taking the death toll in similar unseasonal storms this month to 157. The storm, with a wind speed of up to 70 kilometers per hour (45 miles per hour), demolished dozens of homes and uprooted trees and power lines in northern Uttar Pradesh state, government official Avneesh Awasthi said. At least nine people lost their lives and another 23 were injured in various parts of the state, Awasthi said. Another two people were killed and 18 were injured in the Indian capital, New Delhi, the Press Trust of India news agency said. At least 12 people were killed by lightning in the Howrah, Western Midnapore and North Pargana districts of West Bengal state, the agency said. The dust storm also swept parts of southern Andhra Pradesh state. Similar unseasonal powerful dust storms and thundershowers in the past two weeks have left 200 people injured in five Indian states. 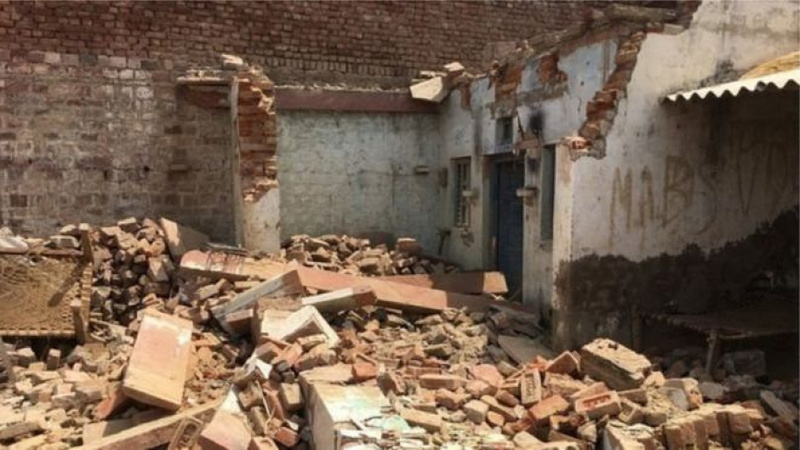 Eighty-seven of those killed were in the worst-hit northern Uttar Pradesh state, where the storms have affected the lives of more than 100 million residents, who also have lost cattle and crops. Schools and colleges remained closed for days in several districts. The country's monsoon season is nearly six weeks away.